Not if the frequency is increased. 743 wrote: Not if the frequency is increased. Frequency would be similar to now. 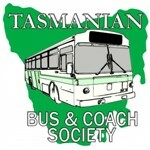 Cannot justify a bus every 15min through Chigwell or Sth Hobart. All numbered Tassielink services are in the 7xx series. 300 series - West Coast [Strahan Zeehan] OR.....North West [Burnie] and West Coast. The Hobart changes are [to me] a very practical solution to a currently messy anddisconnected service. Certainly people will be upset that "their" bus is gone. Comments in the Mercury already say that there is insuffient details, such as tmetables for each route, so it is hard to make a valid comparison with true data. If a frequent/regular service is within walking distance, the choice may be better. New Zealand is doing the same [which does not necessaruly make it better!!]. However, the results seem promising. Christchurch Metro have revamped post earthquake as the travel patterns have changed. I sat in the city for a couple of hours near the new bus exchange [prior to the totally newly constructed one which just opened] and the frequency of the 4 high frequency main lines [Purple / Blue / Orange / Yellow] plus 5 supporting radial lines which infil between the coloured high frequency lines was a bus observers delight. As one or two passed, others came into view. Dunedin has just launched its first revamped services, providing a 30 minute frequency to Mosgiel [using the motorway] with a Super Stop at Green Island for Brighton / Abbotsford local connections; and added late night [Friday and Saturday] & a new Sunday services for Abbotsford]. The only dissention has come from travellers wanting to go to the South Dunedin area where the old service travelled on local streets. The higher frequency is a trade off for the change to the connecting service. The entire Auckland network is being revamped in the same way. Auckland Transport has a very good process of changes over a number of areas - the presentation of the plans, consultation, reworking, republication, and implementation. Three levels of service are offered: Frequent [15 minute frequency], Connector [30 minute frequency] and Local [60 minute frequency] plus peak period services. A recent announcement of a new service in Algies Bay [part of the Hibiscus Coast changes] had concerns about buses along the waterfront amidst pedestrians and cars and general traffic problems. The researchers then contacted everyone who provided an Algies Bay address to determine their specific concerns and came up with an alternative to suit most people. I will be following the progress of the Hobart [and maybe all of Tasmania changes] on this site and in the Mercury. Hopefully, Metro Tasmania provides meaningful consultation and will be able to vary its plans if worthwhile suggestions are offered. There will be frequency changes in some areas - some more, some less. Having just spent 4 days in fantastic Hobart ,and using and observing the Metro services,I can only agree the above proposals would be a very beneficial move . The current network just has way too many variations with far too many route numbers which just makes for a very complicated system.The main corridors like Main Road,Sandy Bay Road and Eastlands have great frequencies,but the services are just too complicated for a visitor to understand quickly. E.G.The South Hobart corridor and the Mount Nelson corridor both utilise 6 different route numbers on relatively low frequency services. The new network will be in place from 10 January 2016. Details are here. The graphic design of the timetables has also been overhauled, with timing points down the side of the page, and diagrammatic maps in use. A very comprehensive review and some major improvements. The Bridgewater / Brighton / Gagebrook multi-route mess has settled down to a very simple design. *Brighton services  terminate at Green Point Plaza to connect with the X20 [former X1] to the city. *Night services are 522 via Bridgewater to Gagebrook [nothing to Brighton]. Weekend Seven Mile Beach services on route 635. Last edited by BusPlaneTrainTram on Tue Dec 15, 2015 2:58 am, edited 1 time in total. BusPlaneTrainTram wrote: *Brighton services  terminate at Green Point Plaza to connect with the X20 [former X1] to the city. From my reading, one early am starts at Glenorchy to Brighton, and the X21 makes through trips to and from the City in the peak hours. The rest are 521 services as suggested above. BusPlaneTrainTram wrote: From my reading, one early am starts at Glenorchy to Brighton, and the X21 makes through trips to and from the City in the peak hours. The rest are 521 services as suggested above. Check again - there are two services *from* Glenorchy, and one *to* Glenorchy. Your route list also needs some corrections, e.g. 615/616 operating days are incorrect. Thanks 743, I did find them - appreciate the pick up. 615/616 corrected - good pick up; I had noted this in an excel spreadsheet extra column and failed to copy into the list.